Published by permission of the Baptist and Reflector, the official news journal of the Tennessee Baptist Mission Board. For the last year I have had the amazing privilege of traveling all across the beautiful state of Tennessee, helping serve churches with the Tennessee Baptist Mission Board. This job has been a dream of mine. It gives me opportunities to sit down with ministers of the gospel and build relationships. As I sit down with these individuals, we talk about family, life and ministry. I get pretty fired up when we start discussing what their local churches are doing to win Tennessee for Jesus. These conversations are rooted in the hopes of finding out what the church does to bring the gospel to their town. EACH CHURCH MUST ASK THE QUESTION, “WHY ARE THEY WHERE THEY ARE? Each church must ask the question, “Why are they where they are?” This isn’t for property location or even property value, the real question is what is the purpose of the church. See, Jesus came and gave His life for the church. He became the substitute for sin as a sacrifice on the cross. For this very reason, we find purpose for each church. See, we are a church in the community not for ourselves but to spread the love of Jesus. Once each church finds out this purpose, everything changes. As an individual or as a church we live out our purpose. This purpose drives us to love the people in our community and all others we come in to contact with. This purpose must be fulfilled. It is our calling and the command that Jesus laid out for us. Church cannot just be a place we attend but it is alive in each of our lives. Our faith is a living and breathing organism. It’s alive in the believer’s heart as we live out the normal happenings of everyday life. As neighbors invite their friends over for a meal, as classmates study for an upcoming test together, as wives’ hangout with their toddlers at the local park, all these things happen as life goes on and our purpose is to love others in the process and lead them to Jesus. As an individual who gave his life to Jesus Christ at 18 years of age, I feared what others would think about my conversion and how they would respond to any faith conversations. When it came down to faith, fear led most of my emotions. I was too scared to ever give my testimony, I feared what others would think of me if I talked about church or even Jesus. I wanted everyone I knew to know Jesus but had been taught a long time that faith was something that needed to be kept to myself. The problem was that I looked more at what others said and what I had always been taught than getting my information from the Word of God. Early on in my transformation as a Jesus follower I was taught to read the Word of God. For an individual or as a church, this must be our primer for gospel conversations and growth. Reading and learning Scripture sets us on the road to sharing Jesus. I know this is simplistic, but it set me on the road to become a person that is passionate about evangelism. The Word of God clearly presents us with a mandate, as we go we share the gospel and make disciples. This is found in Matthew 28:19 and is critical in my life and should be in every believer’s life. 19 Go, therefore, and make disciples of all nations, baptizing them in the name of the Father and of the Son and of the Holy Spirit…. The Great Commission is the last command that Jesus gave to His followers and is our marching orders. This verse was taught to me at my home church of First Baptist of Ponchatoula, La., it was communicated to me at the New Orleans Baptist Theological Seminary, and this verse was challenged to me by my mentors. People poured their lives into me and helped me understand my purpose. I have the awesome privilege to share Jesus as I went about the everyday occurrences of my life because of these individuals who taught me how to follow Jesus and the necessity to share the gospel. Jay serves as an Evangelism Specialist with the Tennessee Baptist Mission Board. His desire is to help engage people with the Gospel and know the love of Jesus Christ. Jay believes that the message of Jesus changes lives and provides hope. He has worked at churches in Louisiana, Tennessee and has spoken throughout the Southeast. 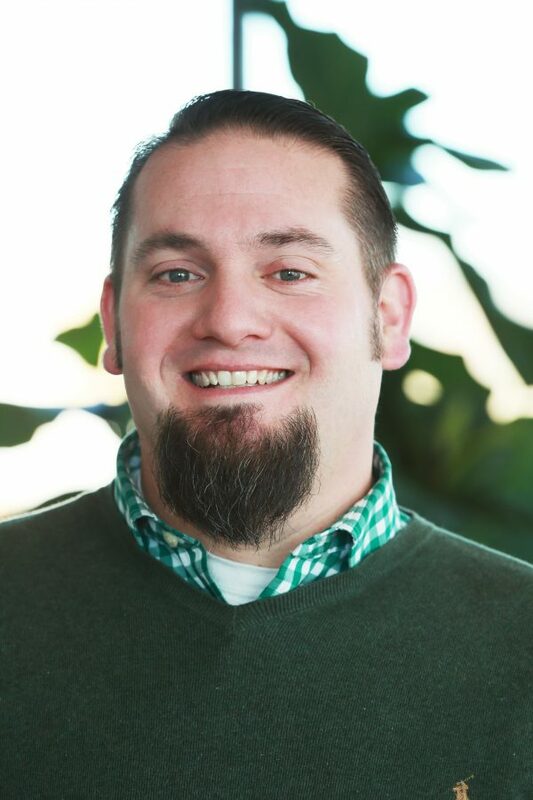 He leads Youth Summer Camps and YEC, Youth Evangelism Conference, for Tennessee Baptists. Jay holds a degree from the New Orleans Baptist Theological Seminary. He enjoys traveling with his wife Natalee and two children, Caleb and Mary-Clare. Advocating for Special Needs, eating Cajun Cuisine, and travel brings joy to his family.